mucho ruido y pocas nueces, pero eso forma parte de la chismografia kubiche que sostiene a la industria anticastrista. El investigador Luis Domínguez, especialista en asuntos relacionados con Cuba, expondrá durante la conferencia cómo el régimen de los hermanos Castro ha usado la diplomacia para espiar en todos los países con los que sostiene relaciones diplomáticas, particularmente Estados Unidos. 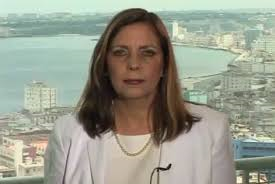 Two career Cuban spies, Josefina Vidal Ferreiro and Gustavo Machin Gomez, will lead this week's migration and normalization discussions with the United States. The pair are members of Cuba’s primary foreign intelligence service – the Directorate of Intelligence (DI), and serve as Director and Deputy Director, respectively, of the North American Division in the Ministry of Foreign Affairs (MINREX). This is Machin’s second time in the Division, having served as Deputy Chief in 2003 and Division Chief from 2004-2005. We disagree with the first half of this assessment by former U.S. defense and intelligence official, Daniel J. Gallington, regarding the impact that American culture and capitalism will have on the Cuban people -- for they have been exposed to this (with limited impact) for decades through geographical proximity, American relatives, and millions of foreign tourists. Sadly though, Mr. Gallington may be right about a successor to Castro stemming from the military, which Obama may have just facilitated thanks to his betrayal of Cuba's democrats. Moreover, he's absolutely right regarding the influx of Cuban spies that will emanate from Obama's announcement -- and the imminent challenge it poses for U.S. counter-intelligence officials. America's new relationship with Cuba will likely mean an influx of Cuban spies. On balance, it was probably a good idea to move forward with a new relationship with Cuba. The Castros are old, getting older and will soon be gone – and it’s doubtful that the Cuban people will choose, voluntarily of course, to succeed them with another such family dynasty. When the Castros are finally gone, there likely will be a muffled internal insurrection or two, as the competing factions for power seek to kill each other off – and there is likely to be a period of uncertainty before the emergence of a new personality that can coalesce a central government. The most likely successor will probably come from the military. No real surprises here. During the coming next few years, we really don’t have to actually do much to influence the people of Cuba except inundate them with our media, social or otherwise, movies, TV, investments, business, travel, sports teams, tourism and the Internet. They continue to be huge consumers of American culture and capitalism will creep into their lives whether they want it or not, and no matter what the Castro government says or does to keep it out. In short, President Raul Castro can say that they will remain Communist all he wants, but that system will not be able to sustain itself in the face of the onslaught of American commercialism. Like the old Soviet Union, Cuba will soon implode from American and Western cultural influence – especially as they realize how poor they have become compared to their neighbors from the North. What do we want from them? Cigars and resorts for our tourists? Not a whole lot really, nor do we need much of anything to let the natural symbiosis of the new relationship work out in our favor. In short, it will happen, and it will be to our advantage – especially after Raul is gone, just as Fidel is already mostly out of the picture. So is that the end of the story with Cuba? Not by a long shot, because we must now prepare ourselves for an onslaught of hundreds, perhaps thousands of Cuban spies. And I have bad news for you – they are very, very good at it, probably the best in our hemisphere, including us, who look like amateurs compared to them, especially when it comes to the long-term penetration of high-value intelligence targets and getting critical information therefrom. In my day, the Cubans were thought to be every bit as good as the East Germans, who were probably the best in the world, next to the Israelis, of course. It is not surprising, therefore, that part of the deal we made to establish the new relationship was to release three members of the notorious “Cuban Five” from federal prison, one of them serving multiple life sentences for espionage and murder. The Cuban Five, if you may remember, were a group of spies who successfully penetrated the Brothers to the Rescue and other Cuban-American groups in the U.S. that advocated overthrow of the Castro regime. The FBI broke them up in the late 90’s and they were all sentenced to prison. While there is lots of controversy surrounding them, the Cuban government later acknowledged that the five were intelligence agents. The record of Cuban spies in our country is long and of major concern to our counterintelligence services and agencies. While the Chinese, just for example, are probably the largest and most prolific spies in our country, the Cubans make up for it with their specialized skills and knowledge of American social structures. So one can only hope that an essential part of the new relationship with Cuba will also be an aggressive counterintelligence program on our part to protect ourselves from Cuban spies. And Cuba's spying program will no doubt also be enhanced by the Castro government as it expands its ability to gather national security information against us, both in Cuba and in the United States. I say “only hope” because counterintelligence has long remained the unwanted step-child of our intelligence community, despite some new attention to its organization and structure. It remains to be seen, however, whether we have really improved our ability to actually catch spies, both outside and inside our government. And the Cubans, because of their consummate skills and abilities to penetrate our most sensitive targets, will no doubt be able to decide this for themselves – and probably before we realize it. In short, I’m not optimistic. The Cubans are good, real good! Two double agents, a prison swap and code from outer space: did these spies save US-Cuba relations? Montes had no idea how prophetic her words would be. While the 57-year-old American citizen remains locked up as one of the most damaging spies in US history, the Cuban-born spy who led American investigators to Montes was set free to worldwide applause last week, during a landmark thaw in US-Cuban relations. 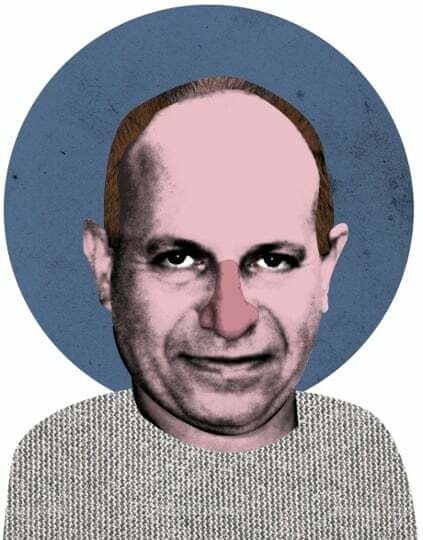 Several news outlets have since identified the Cuban double-agent as Rolando Sarraff Trujillo, and multiple US officials I’ve interviewed this past week have described him as a cryptographer whose code-breaking secrets have been the gift that keeps on giving to the CIA, NSA and FBI. I have been following the Montes case for more than a decade, and profiled Montes and her family for the Washington Post Magazine last year. Despite extensive interviews with the officials who pursued her – and even access to a secret CIA profile of Montes – I never learned of the existence of the Cuban code geek who helped bring her down. On Wednesday, President Obama broke the news, hailing the Cuban double-agent as “one of the most important intelligence agents that the United States has ever had in Cuba”. As I retraced the colliding paths of these dueling spies, a senior Obama administration official revealed to me on Friday that the Cubans had never requested the release of Ana Montes – not a single time over 18 months of secret prisoner-swap negotiations. The once-revered Pentagon analyst known as the “Queen of Cuba” had been left behind, a fitting betrayal for a woman who made a career out of duplicity and deceit. 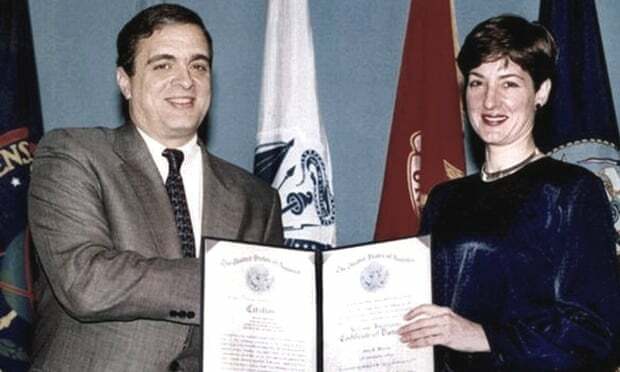 Then-CIA director George Tenet presented Montes with a certificate of distinction in 1997. By the time Montes attended graduate school at the Johns Hopkins University in the early 1980s, her anti-authoritarian worldview was fully baked. It didn’t take long for her to meet a like-minded student who seemed eager for a friend. The gregarious grad student was, in fact, a Cuban talent scout who wanted “to facilitate the recruitment of Montes to serve as an agent of the Cuban Intelligence Service,” prosecutors divulged last year. In 1985, Montes would find herself on a clandestine trip to Cuba for operational training, and before long she had found work with the Defense Intelligence Agency (DIA), the Pentagon’s major producer of foreign military intelligence. The Cubans “tried to appeal to my conviction that what I was doing was right,” Montes would later admit to investigators, in the first of many naïve assumptions that would come back to haunt her. For the next 16 years, Montes feverishly worked two jobs, her star rising in Washington and Havana. By day she was a whip-smart analyst for the DIA. At night, she re-typed every top-secret document she could remember onto a Toshiba laptop provided by the Cuban intelligence service. Soon she was briefing the Joint Chiefs of Staff and the National Security Council, and won a certificate of distinction from then-CIA Director George Tenet. All the while, Montes was meeting handlers in Washington-area Chinese restaurants, and artfully slipping in and out of Cuba to debrief the island’s intelligence officers. As Cuban-American relations stalled, the Soviet-trained masters of deception taught Montes how to pass packages to agents innocuously, beat the lie detector and, importantly, retrieve coded messages in the privacy of her DC apartment. Montes got her orders the Cold War way: through numeric messages transmitted anonymously over shortwave radio. Tres-cero-uno-cero-siete, dos-cuatro-seis-dos-cuatro, a haunting female voice would drone on into the night, cutting through the otherworldly static. Montes would key the digits into her laptop, and a Cuban-installed decryption program would convert the numbers into Spanish-language text. It was a code almost from another universe, practically begging to be broken by an enemy not that far away. More than 1,000 miles south in Cuba, Rolando Sarraff Trujillo was making a name for himself, too. After graduating in 1990 from the University of Havana, the handsome father of one – known to friends as “Roly” – began work for Cuba’s Directorate of Intelligence (DI). According to an online biography posted by his family, Sarraff Trujillo was employed as a lowly journalist assisting the intelligence directorate. In reality, he was a skilled cryptographer helping to encrypt messages to and from Cuba’s far-flung network of spies, said Chris Simmons, a former chief of a Cuban counterintelligence unit in the DIA who helped investigate Montes. “He worked on agent communications,” Simmons told me. But Roly Sarraff Trujillo did more than that – he was a one-man intelligence goldmine. 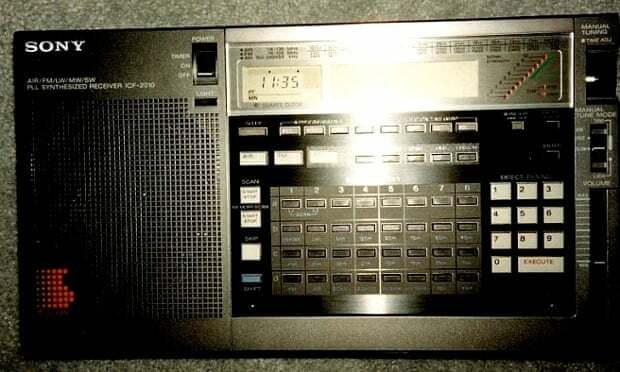 As a cryptographer, Sarraff Trujillo understood precisely how Cuba communicated with agents in the field, chiefly through the same “numbers station” broadcasts that Montes picked up night after night on her store-bought Sony radio. “He gave up how the Cubans transmitted HF [high frequency] broadcasts,” Simmons said. “He revealed communications shortfalls” that the CIA could take advantage of. As a backroom comms guy, Sarraff Trujillo likely did not know the true identities of the Americans working on Havana’s behalf, Montes included. But the technical data and mastery of Cuban cryptography keys that Sarraff Trujillo imparted to the CIA would guide and even supercharge Americans investigators’ efforts for more than a decade – inextricably linking him with his polar opposite in espionage, even as he helped to out her. “It’s like a time-lapse photo ... a gradual process,” said one current US intelligence official of Sarraff Trujillo’s codebreaking breakthroughs. Another US official with knowledge of the case told me that Sarraff Trujillo and two Cuban defectors working for the CIA provided computer records straight from Cuba’s Directorate of Intelligence. “That data is a treasure trove of information about Cuban intelligence,” the second official told me. That data is a treasure trove of information about Cuban intelligence. From the records, the CIA was able to deduce how many agents the Cubans were running, their rough geographical locations and the command structure of the DI. Now American investigators knew where to look, and how to decipher encrypted messages sent to illegal agents hiding in the US. US intelligence officials refuse to confirm or deny if Sarraff Trujillo is, in fact, the mystery Cuban released last week in exchange for three Cuban spies held in the United States along with, in a separate deal announced on the same morning as the expanded diplomatic relations, the imprisoned American contractor Alan Gross. Sarraff Trujillo’s sister, Vilma, declined comment in an email, as did spokespeople for the CIA, National Security Council and Director of National Intelligence (DNI). Ana Montes would tune this radio to a short-wave frequency and wait for a spy broadcast full of seemingly random numbers to begin. Roly Sarraff Trujillo helped US investigators crack the code. In the years following Sarraff Trujillo’s arrest, American investigators began to methodically work their way towards Montes. Ironically, it was Ana’s own sister, Lucy, who would play a key role in helping the FBI identify and capture the Queen of Cuba. It began with a Cuban spy ring based in Florida. More than a dozen members strong, the so-called Wasp Network was infiltrating Cuban exile organizations and US military sites in Florida. Armed with Sarraff Trujillo’s intelligence and aided by other tipsters, American officials were able to pinpoint key Wasp conspirators. The FBI’s Miami field office began searching their homes surreptitiously and uncovered secret “crypto keys” on their laptops that deciphered ongoing communications with Havana, a US official familiar with the case told me. The Cubans fucked up. They used the crypto keys more than once. The Cubans were supposed to change the crypto codes every six months, the official said, to minimize security risks. But they got careless. “The Cubans fucked up. They occasionally used the crypto keys more than once,” the official said. By applying the crypto keys to older coded shortwave transmissions that the NSA routinely recorded, the FBI began to build a profile of a senior US official who was aiding the Cubans. FBI special agents now knew that their “UNSUB” – or unidentified subject – had high-level access to US intelligence on Cuba and had purchased a specific type of Toshiba laptop to communicate with Havana. It was 1998, and Lucy Montes was working in Miami as an FBI language analyst who translated wiretaps and other sensitive communications. The FBI called on her to translate hours of wiretapped conversations of the Wasp spies. 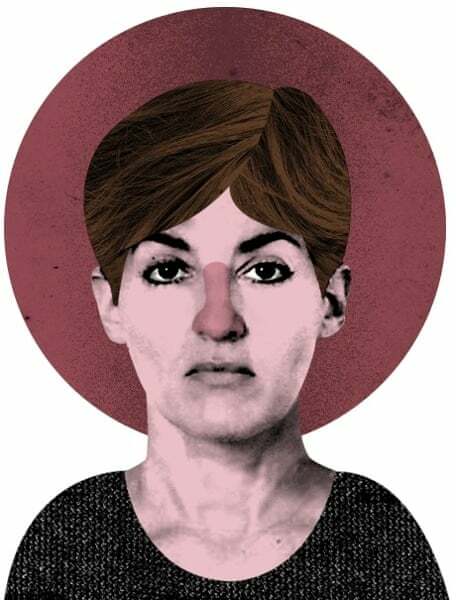 Although Ana presumably would have been proud to learn that her sister had helped expose a Cuban spy ring, Lucy knew from years of frustrating trial and error that Ana refused to discuss her career. Ever. Lucy never even brought it up. With the Wasp arrests, Ana’s handlers pulled back and assessed the fallout. Ana was alone, and she was scared – with good reason. By September 2000, Chris Simmons learned from a fellow intelligence officer that the FBI was having difficulty identifying an UNSUB spying for the Cubans. Simmons shared the tip with Scott Carmichael, a “mole hunter” whose job it was to ferret our spies and other security risks within the DIA. Carmichael and a colleague began inputting some of the FBI’s closely held clues into their employee databases. After scanning through a hundred possible employee matches, a name popped up. Except this name came from deep within the bureaucracy: ANA BELEN MONTES. Following months of investigative scrutiny, the FBI put a tail on Montes. They videotaped her making suspicious calls on pay phones, even though she carried a cellphone. They gained access to her banking accounts, through the use of a national security letter, and learned that Montes had applied for a line of credit in 1996 at CompUSA. Her purchase? The same model of Toshiba laptop that had been referenced in the coded Cuban communications that Sarraff Trujillo knew so much about. But despite last week’s détente between the United States and Cuba, it’s hard to imagine that the events Montes and Sarraff Trujillo set into motion more than two decades ago will amount to any kind of lasting harmony. One current US intelligence official predicted last week, as the White House was declaring a man who sounded a lot like Roly Sarraff Trujillo “a legitimate hero”, that the opening of embassies in Havana and Washington will simply make spying more convenient – with each nation’s spies more abundant and easier to follow. y esta fotico no es del parqueo de coppelia, estarian de visita en espana o jayalia? pobres viejitos. Los padres de Rolando Sarraff Trujillo, el supuesto agente doble que Estados Unidos intercambió la semana pasada por tres espías cubanos, fueron agentes de la Dirección de Inteligencia del Ministerio del Interior de Cuba hasta que se jubilaron. Tanto Odesa Trujillo como el teniente coronel Rolando Sarraff Elías estudiaron en una escuela selecta del KGB para agentes especiales cubanos, según ha podido saber ABC de varias fuentes de la inteligencia cubana que desertaron en EE.UU. Uno de estos portavoces se formó en el mismo centro de Moscú. Los familiares del teniente Sarraff, detenido en 1995 y condenado a 25 años por espionaje, han asegurado desconocer el paradero de su hijo desde que lo visitaron hace justo una semana en Villa Marista, el cuartel general de la Seguridad del Estado en La Habana. «Ha sido trasladado, y no para mal», fue la única explicación que recibieron de sus carceleros, según un portavoz de la disidencia interna. Varios medios estadounidenses identificaron a Rolando Sarraff como el supuesto espía cubano descrito por Barack Obama como «uno de los activos de inteligencia más importantes que EE.UU. haya tenido jamás en Cuba». Sarraff, de 51 años, habría proporcionado a la CIA información clave para detener en 1998 a la llamada Red Avispa, de la que formaban parte «Los Cinco», así como a la agente Ana Belén Montes. Antes de su detención, en noviembre de 1995, Rolando estaba destinado en el departamento de criptografía de la Dirección de Inteligencia y era experto en los códigos utilizados por los espías cubanos en Estados Unidos para comunicarse con el régimen de La Habana. En ese momento estaba casado, tenía 32 años y un hijo pequeño. Mientras todos los indicios apuntan a que ya se encuentra en territorio estadounidense -se afirma incluso que viajó en el mismo avión que el contratista preso durante cinco años Alan Gross- el hecho de que el supuesto agente doble no haya salido a la luz pública es «normal». «Además de los exámenes médicos, en estos casos existe un tiempo de entrevistas ("debriefing") para conocer muchos detalles que solo él conoce, como quien lo delató, así como otras informaciones que él sabía, que nunca pudo entregar y que posiblemente aún serían útiles», agregó uno de los exagentes cubanos. Sin embargo, Sarraff también podría no tener la importancia que le atribuyen: «Lo utilizaron como moneda de cambio para poder excarcelar a los tres últimos espías de la Red Avispa; no era de recibo cambiarlos solo por Alan Gross», destacaron las fuentes consultadas. Tanto su familia como los activistas de derechos humanos han asegurado desconocer el supuesto pasado de agente doble de Rolando Sarraff, quien ha permanecido aislado la mayor parte de los diecinueve años de reclusión y siempre ha mantenido su inocencia. La Comisión Cubana de Derechos Humanos y Reconciliación Nacional lo había incluido en su lista de presos políticos. El Observatorio Cubano de Derechos Humanos había planteado su caso ante Naciones Unidas. Su hermana Vilma Sarraff, que reside en Tarancón (Cuenca), explicó este domingo a ABC que las informaciones sobre su doble vida «son fantasía, la única persona que puede decir si es cierto o no es el propio Roli». Para esta bióloga, casada con un español y que se dedica al turismo, su hermano siempre ha sido «un hombre extraordinario, de gran formación y cultura, que no quiere protagonismos y con quien se han violado todos los derechos humanos». Tanto Vilma como la pequeña de esta familia de abuelos libaneses, Katia, han sido muy activas para lograr la liberación de Rolando. Viven en España desde hace 20 y 16 años, respectivamente. Katia Sarraff es médico y se ha establecido en Palma de Mallorca. Los cinco miembros de la familia estudiaron en la Universidad de La Habana. Sus padres y Rolando hicieron Periodismo. Sarraff Elías llegó a ser corresponsal de Prensa Latina. Mientras espera inquieta sus noticias, Vilma Sarraff afirma que «me da lo mismo lo que sea Rolando, siempre será el hombre de mirada limpia de ojos azules que yo quiero y que se merece estar libre». REDACCION. — El periódico independiente 14Ymedio fue acreditado en el Festival del Nuevo Cine Latinoamericano de La Habana. Es primera vez que el diario, que dirige Yoani Sánchez, es autorizado a cubrir un evento oficial. Anteriormente, el reportero Reinaldo Escobar trató de obtener la acreditación para cubrir la visita del canciller de España, José María García Margallo, pero miembros de la Seguridad del Estado no le permitieron llegar al Centro Internacional de Prensa. Esta vez, para acreditarse en el Festival Internacional del Nuevo Cine Latinoamericano, la periodista de 14Ymedio, Luz Escobar, envió su solicitud a la página digital del Festival, siguiendo el proceso establecido, pero no le respondieron. En consecuencia, Escobar se presentó personalmente en las oficinas del Festival, en el Hotel Nacional, portando su solapín de 14Ymedio, y solicitó (de nuevo) que la acreditaran como periodista. Al tratar de pagar en CUC , la funcionaria a cargo del proceso le aclaró a la periodista que solo la prensa extranjera pagaba en CUC. Luz Escobar abonó 45 pesos cubanos (aproximadamente 2 dólares), y le fue entregada la acreditación para cubrir todas las actividades del 36 Festival. En noviembre de 1963, el agente de inteligencia cubano Florentino Aspillaga trabajaba en una pequeña cabaña cerca de una playa de la isla en la que operaba un equipo de intercepción de conversaciones orientado hacia Miami y la sede de la CIA, en Virginia. En la mañana del 22 de noviembre, Aspillaga, que desertaría a Estados Unidos en 1987, recibió órdenes de "detener todo tu trabajo en la CIA, todo tu trabajo en la CIA". Recibió instrucciones de "colocar todo mi equipo para escuchar cualquier detallito de Texas. Me dijeron Texas". ¿Acaso Castro sabía que Lee Harvey Oswald se disponía a asesinar al presidente John F. Kennedy? 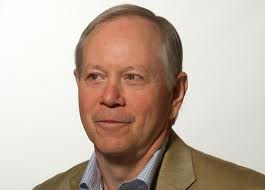 Brian Latell, un experimentado analista de Cuba de la CIA, pasó 15 horas entrevistando a Aspillaga para la edición revisada de su libro "Castro's Secrets" (algo así como Los secretos de Castro, publicado este año por la editorial Palgrave MacMillan). El libro aporta razones poderosas para pensar que lo sabía. Latell hace un repaso para los lectores de medio siglo de espionaje cubano a través de entrevistas con decenas de desertores cubanos de alto rango y numerosos agentes de la CIA. Considera a Aspillaga "el desertor cubano mejor informado que jamás haya cambiado de bando". También revisó miles de páginas de documentos desclasificados de la CIA y tuvo acceso a las memorias no publicadas de Thomas Mann, el embajador de EE.UU. en México en 1963, que tenía razones para sospechar de una conexión entre Oswald y Cuba. El veterano analista aborda la tarea de contar la historia de la "máquina de inteligencia" de Cuba, la cual estuvo un paso por delante de la de EE.UU. durante muchos años. Por el camino, el autor descubre detalles sorprendentes que sugieren que Cuba alimentó el deseo maniaco de Oswald de demostrar su valor para la revolución castrista durante la visita del estadounidense a Ciudad de México en 1963. Latell también presenta sólida evidencia de que el gobierno de Lyndon Johnson y las máximas autoridades tanto del FBI como de la CIA se aseguraron de que esos detalles no llegaran a los oídos de la Comisión Warren, que investigaba la muerte de Kennedy. El gobierno de Kennedy estaba desesperado por eliminar a Castro. La invasión de Bahía de Cochinos en 1961 había fracasado. Edward Jay Epstein, un connotado experto sobre el asesinato del presidente y autor del libro recientemente publicado en EE.UU. "The JFK Assasination Diary" (algo así como El diario del asesinato de JFK), señala que para agosto de 1963 Richard Helms, que aún no era director de la CIA, recibía "llamadas casi a diario del [fiscal general Robert Kennedy] que exigía saber qué acciones se estaban tomando para sacar a Castro del poder". La CIA contrató los servicios de Rolando Cubela, que era parte de la revolución castrista, para hacer el trabajo. Sin embargo, Cubela era un doble agente. El 7 de septiembre, justo después de que Cubela acordara ayudar a EE.UU., Castro concedió una entrevista a la AP en la que advirtió a EE.UU. que "colaborar con los planes terroristas para eliminar a los líderes cubanos" significa que "ellos mismos no estarán seguros". Castro no tenía que buscar muy lejos para encontrar un socio que respaldara tales palabras. Latell escribe que "se conoce casi con certeza" que Cuba "abrió un dossier" sobre Oswald en 1959, cuando estaba en la estación de la marina estadounidense en El Toro, California. Oswald se enamoró de la revolución cubana, y se había contactado con el consulado de la isla en Los Ángeles. El 27 de septiembre de 1963, Oswald se registró en el Hotel Comercio de Ciudad de México para una estadía de cinco noches. Trató de obtener una visa de la embajada cubana para viajar a La Habana. Tuvo un romance con una empleada de la embajada y probablemente pasó tiempo con otros empleados que eran agentes de inteligencia. Testigos aseguran que cuando el trámite se demoró, Oswald empezó a despotricar contra la embajada, tiró un portazo y se marchó furioso. Según Latell, Oswald visitó en dos ocasiones el consulado soviético durante su paso por Ciudad de México, donde conoció a "un agente del notorio Departamento 13, responsable de las operaciones de asesinato y sabotaje", señala. La KGB estaba entrenando a la inteligencia cubana en ese entonces y "parece una certeza que el archivo de inteligencia [de Oswald] en La Habana" estaba creciendo. La declaración de Castro acerca de Oswald, durante un discurso pronunciado 30 horas después del atentado, de que jamás había oído hablar de Oswald era una mentira. En realidad, en una conversación con Jack Childs, un comunista estadounidense que había estado trabajando secretamente para el FBI, a Castro se le escapó que estaba al tanto de la explosión de furia de Oswald en la embajada en Ciudad de México y de que había amenazado con asesinar al mandatario estadounidense. Cuando el equipo de la Comisión Warren le preguntó al embajador Mann acerca de la reputación del Hotel Comercio como "un cuartel general de las actividades pro Castro", el diplomático respondió que tal fama "no era para nada conocida en general (…) [solamente] en los círculos de inteligencia". A Mann le pareció demasiado conveniente que Oswald fuera a parar en ese hotel. Hizo presión para obtener más información sobre el viaje de Oswald a Ciudad de México. En sus memorias escribió que "la embajada recibió instrucciones de cesar nuestra investigación acerca de la visita de Oswald a México y pedirle al gobierno mexicano que hiciera lo mismo". Mann pidió que la idea fuera reconsiderada, pero su solicitud fue denegada. A la Comisión Warren nunca se le informó del plan de la CIA para eliminar a Castro. Todo esto deja un agujero gigantesco en el relato oficial sobre el asesinato de Kennedy. Latell concluye que "Castro y un reducido grupo de agentes de la inteligencia cubana fueron cómplices en la muerte de Kennedy, pero que su participación no llegó a constituir un complot de asesinato organizado". En lugar de ello, los cubanos "exhortaron a Oswald" e "incentivaron su feroz militancia". 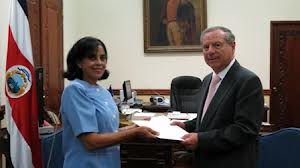 Directorate of Intelligence (DI) officer Leda Elvira Peña Hernández presenting her credentials as the Cuban Ambassador to Costa Rica. Former Dirección General de Inteligencia (DGI) officer Enrique García Diaz identified Leda Elvira Peña Hernández as a career DGI officer. Peña Hernández, the second Cuban Ambassador to Costa Rica, died on June 26. She had served as Ambassador since September 2012. A previous “diplomatic-cover” posting included Counselor at the Cuban Embassy in Italy, which began in September 2002. According to Granma, she was born in Villa Clara on September 14, 1949 and held a Bachelor’s degree in History and a Masters in Social Science. She spoke Spanish, Italian, and Portuguese. García Diaz first met Peña Hernández ("Elvirita") in January 1979 in what is now called Department M-II (Latin America) of the Directorate of Intelligence (DI). At that time, she had served as a member of the “Brazil Desk” in Havana for more than six years. She was married to fellow M-II officer Javier Martinez Buduen (“Miguel Angel”). The couple had two children. 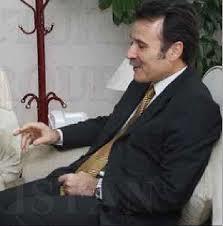 In 1983 he was appointed commercial attaché at the Cuban Embassy in Ecuador. She accompanied him and served in the DGI Centro hidden within the Embassy. They returned to Cuba in 1986 and she became a member of the “Ecuador Desk” at DGI headquarters. García Diaz observed that she held a reputation as a solid professional, while Buduen was respected as a dedicated worker. The husband-wife team joined the DGI in 1974.